High School Math based on the topics required for the Regents Exam conducted by NYSED. How to construct a perpendicular line to a point and a perpendicular line through a point not on a line? 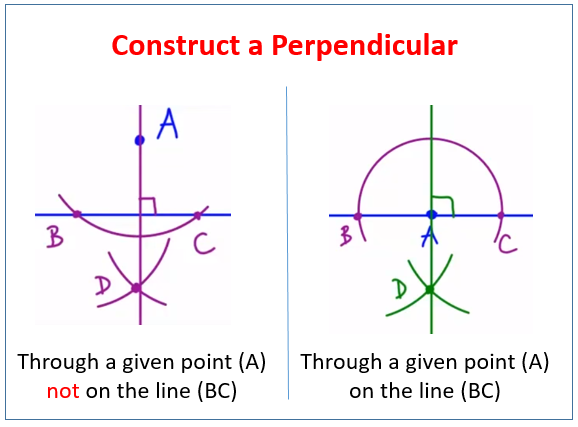 The following diagrams show how to construct a perpendicular through a point not on the line and a perpendicular through a point on the line. Scroll down the page for more examples and solutions.